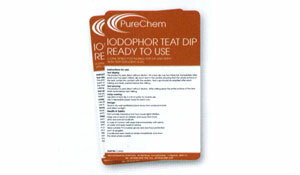 A ready to use lodophor with high level of skin conditioning agents to provide excellent teat skin condition. Can be prayed or dipped. For those who prefer a non-iodine teat dip. Uses the bactericidal power of chlorhexidine digluconate coupled with a proven emollient system. 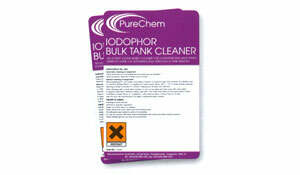 An acidic iodine based cleaner for conventional bulk tank either by hand or automatically through a tank washer. 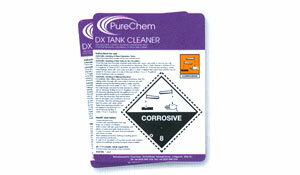 An alkaline caustic blended detergent used for the automatic cleaning of bulk milk tanks. 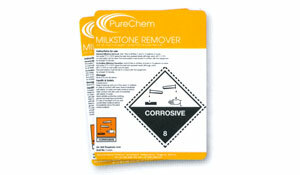 Acid based blended descaler for use in the dairy parlour in the removal and orevention of milkstone and water deposits. Removes iron and rust stains. Suitable for use in pipeline machines and bucket plants. 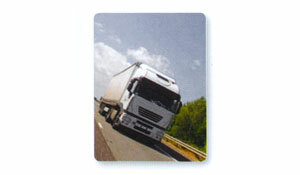 High foaming biodegradable detergent for the removal of traffic film from all vehicles.